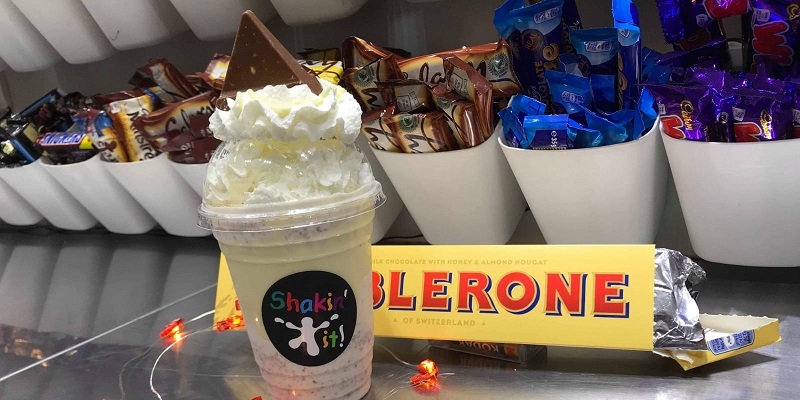 Amy Childs, television presenter, model, business woman, fashion designer (and celebrity star of The Only Way is Essex) visited Derby and announced that Shakin' it should open a Milkshake Bar in her home town of Brentwood! 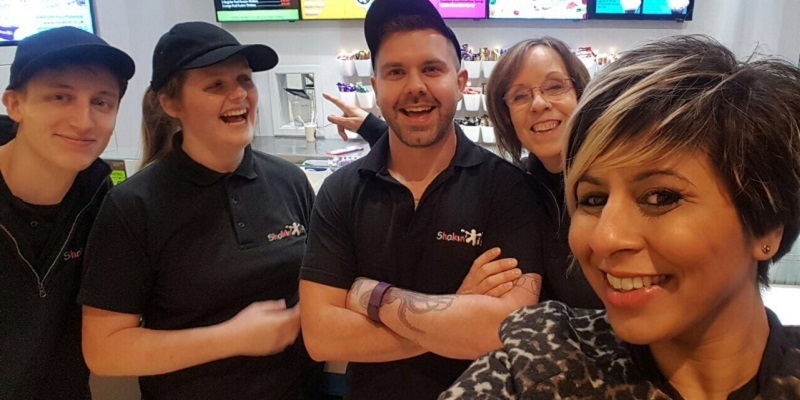 Amy was guest presenter at the intu Derby Retailer Awards Ceremony in October and her comment made us laugh. 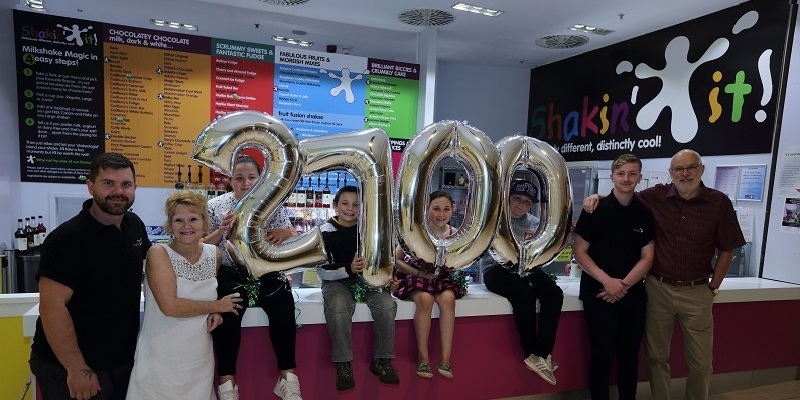 We then debated whether Essex was ready for the Shakin' it experience. What do you think? 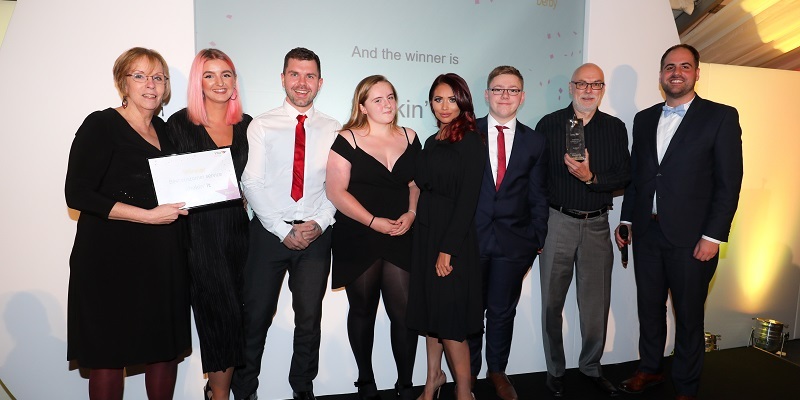 Being voted for the Best Customer Service Award was a major achievement and winning two years running really took the team by surprise. Thank you to everyone who voted for us again! Last year was another busy year for the team. We completed a major makeover in record time and also celebrated our 10-year anniversary. 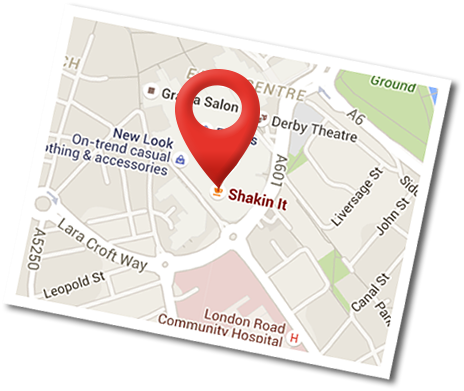 We are super proud to be one of the many independent traders bringing choice and variety to the city of Derby. But we were soon smiling and happy with our brand new shiny shop and its bright and cheerful digital menu screens. 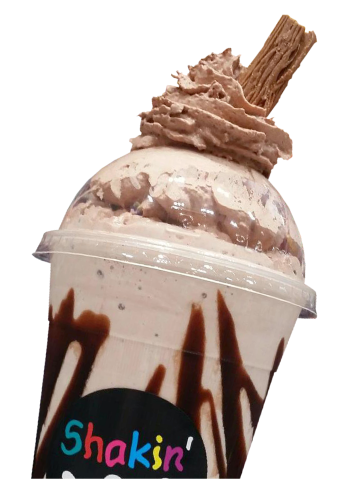 We introduced new Breakfast Shakes, new Hot Shakes and the incredibly popular (and amazingly tasty) Super Shake flavour combinations. 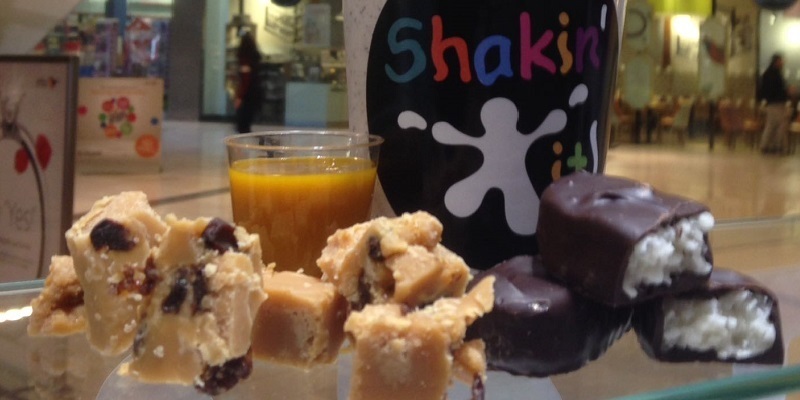 More about 'New Super Shakes for the New Year' a bit later in our blog. Leigh, our Chief Shakeologist, has left to do a research project at University. With all that research into the Art of Shakeology over the past four years, we know Leigh will find his University "Ology" a breeze. Spotted Derby! 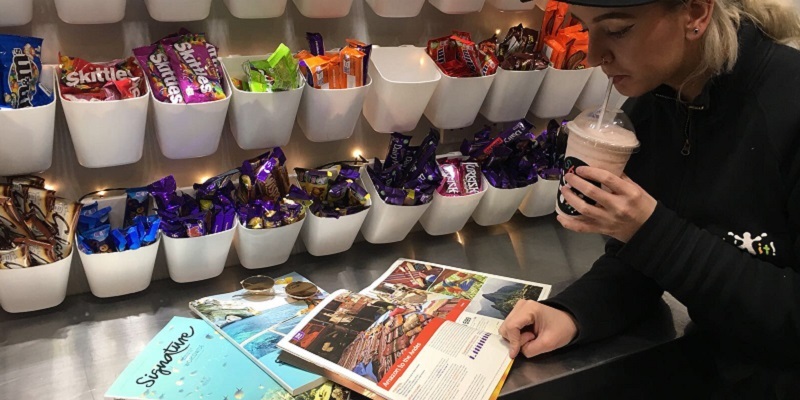 Leanne has been reading travel magazines recently as she is getting ready to go travelling in March. Australia is the first stop. We knew it was to be be somewhere hot as the sunglasses are out! Our new Manager, Josh, will be recruiting shortly so keep a look out on our Facebook page for details! 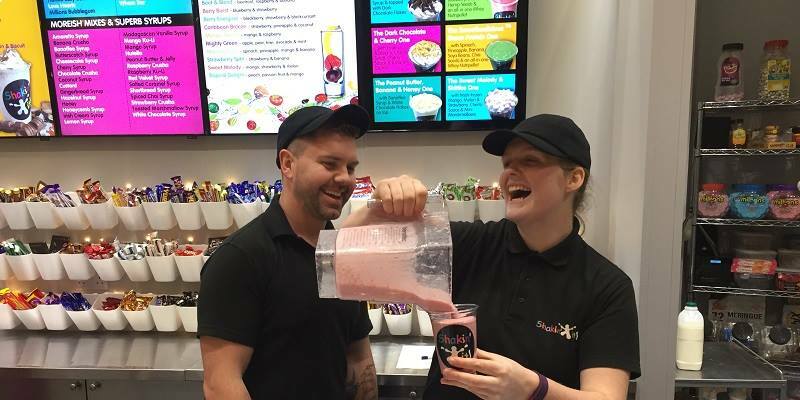 Now, it's time to talk about our delicious New Super Shakes for the New Year! 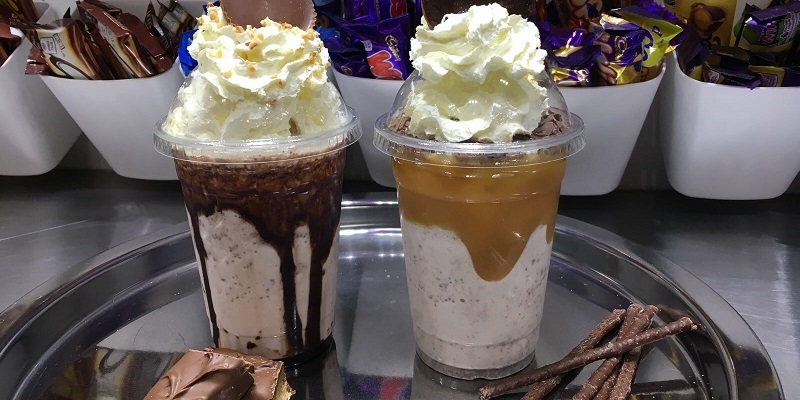 Josh and the Shakeologists have designed new flavour combos and customers are helping us choose their favourites for the new Super Shake menu. And here they are! The Reese's & Snickers One. With Chocolate Sauce, topped with Cream, Chopped Nuts and a Reese's Peanut Butter Cup and The Chocolate Orange Overdrive One. Terry's and Orange Matchmakers with Toffee Sauce. Topped with Cream, Chocolate Flakes and a Jaffa Cake. The Cadbury's Oreo & Oreo Biscuit One. 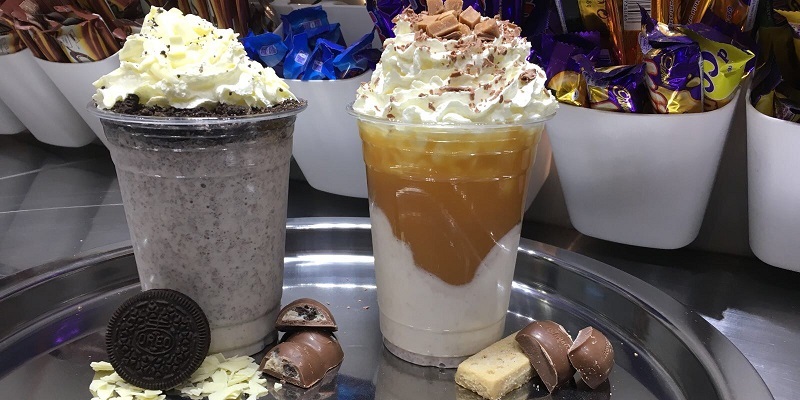 With White Chocolate Syrup, topped with Cream, Crushed Oreo and White Chocolate Flakes and The Millionaire's Shortbread One. With Cadbury's Dairy Milk and Shortcake, Salted Caramel Syrup and Toffee Sauce. Topped with Cream, Diced Caramel and Chocolate Sprinkles. You can join the conversation and tell us your two favourites on our Facebook page during January and February. We think you'll find it hard to choose between them! Here's to a Happy and Shakeylicious 2018!